Situated in the Horn of Africa, Ethiopia has a diverse flora. Due to high demand for fuel wood, high deforestation rates and over-exploitation of some species valued for their medicinal properties, many of Ethiopia’s trees are now threatened with extinction. GTC and the University of Oxford’s Harcourt Arboretum (UK) are helping build capacity and collections of Ethiopian botanic gardens and arboreta for tree conservation. Following a visit to Ethiopia in 2014, GTC raised funds for a collaborative project to build capacity for tree conservation in Ethiopia. 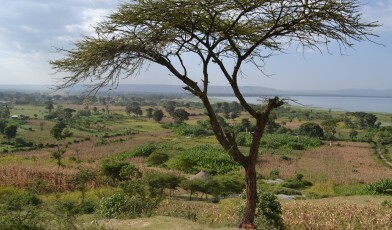 There are many botanic gardens and arboreta at similar stages of development in Ethiopia, and with multiple threats facing the country’s trees, it is essential that these institutions are able to provide conservation for their endemic and threatened species, by establishing ex situ collections and preparing for reintroduction and restoration programmes. ArbNet accreditation enables institutions to be recognised for achievement of specified levels of professional practice and provides a framework for institutions to work towards higher levels of professional standards once accredited. The University of Oxford’s Harcourt Arboretum (OBGHA) has recently achieved Level IV accreditation, the highest level. Through this project OBGHA and GTC are helping two institutions in Ethiopia progress towards Level II ArbNet accreditation; Wondo Genet College Arboretum and Gullele Botanic Garden. Wondo Genet College Arboretum (WGCA) was established in 1978 and is part of Hawassa University. WGCA is currently Level I ArbNet accredited. WGCA is situated next to a small remaining patch of natural forest. The arboretum currently contains many Eucalyptus species, planted as part of forestry trials led by the college, as well as some indigenous species. To progress towards Level II ArbNet accreditation, WGCA will expand their collections, with a focus on indigenous and threatened trees, add interpretation to the collections and develop propagation protocols for important species. A key focus is Hagenia abyssinica, valued for its medicinal properties and reported to be of great conservation concern due to over-extraction and habitat loss. Gullele Botanic Garden (GBG) is situated on the edge of Addis Ababa. GBG is currently applying for Level I ArbNet accreditation. Through this project, GBG will expand its collection of indigenous and threatened trees, designate an arboretum area within the garden and carry out plantings with associated interpretation. Deliver training in establishing and managing tree collections for conservation, thereby increasing capacity in Ethiopian botanic gardens and arboreta. 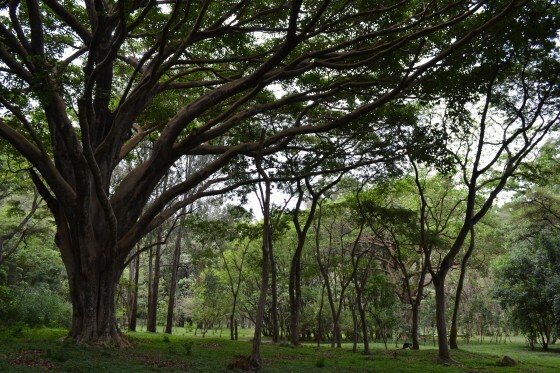 As well as providing support to WGCA and GBG, in November 2015 GTC and OBGHA will deliver a training workshop focused on tree conservation techniques to all botanic gardens in Ethiopia, in collaboration with the Ethiopian Biodiversity Institute. Expand the indigenous tree collections of Ethiopian botanic gardens and arboreta, with a focus on threatened species. Increase the professionalism and recognition of Ethiopian botanic gardens and arboreta through the ArbNet accreditation scheme. 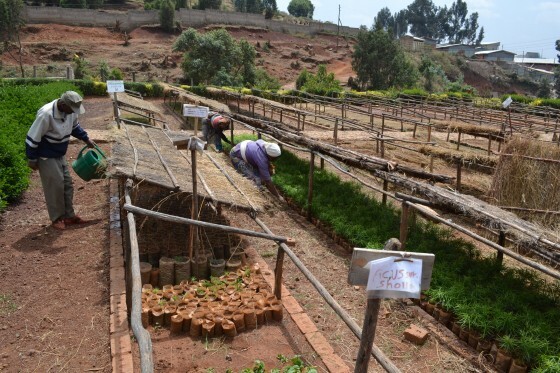 Prepare and enable Ethiopian botanic gardens and arboreta to engage in recovery and forest restoration programmes, involving threatened species. Develop a model, with associated templates and resources, that links a Level 4 ArbNet accredited arboretum with lower level arboreta, which can be replicated widely across the ArbNet and GTC networks. The timber of Aquilaria crassna is known as the ‘Wood of the Gods’ and has been highly appreciated for thousands of years.